Vandoorne scored a point when he made his F1 debut with McLaren as a stand-in for Alonso in the 2016 Bahrain Grand Prix, then stepped up to a full-time drive in 2017 in place of Jenson Button. However, the GP2 champion and Formula Renault 3.5 runner-up has struggled to make an impact in F1 since, and has eight points in his sophomore campaign compared to Alonso’s 44. “I wouldn’t say we’re disappointed by Stoffel,” said McLaren CEO Zak Brown. “You’d like to see him beating his teammate more often than he has. “That’s the same in any situation. You’d love to see your teammates split right down the middle in beating each other every weekend. Vandoorne enjoyed a much improved Hungarian GP showing prior to F1’s summer break, but a gearbox problem condemned him to retirement after he had fought his way into a points-scoring position. A windtunnel correlation problem has set McLaren back in 2018 as it grapples with a fundamental aerodynamic deficiency on its MCL33. That has resulted in a lot of experimentation over race weekends, which McLaren sporting director Gil de Ferran said has not helped Vandoorne compared to Alonso. Both Vandoorne and Alonso are yet to have their F1 futures confirmed beyond the end of this season. 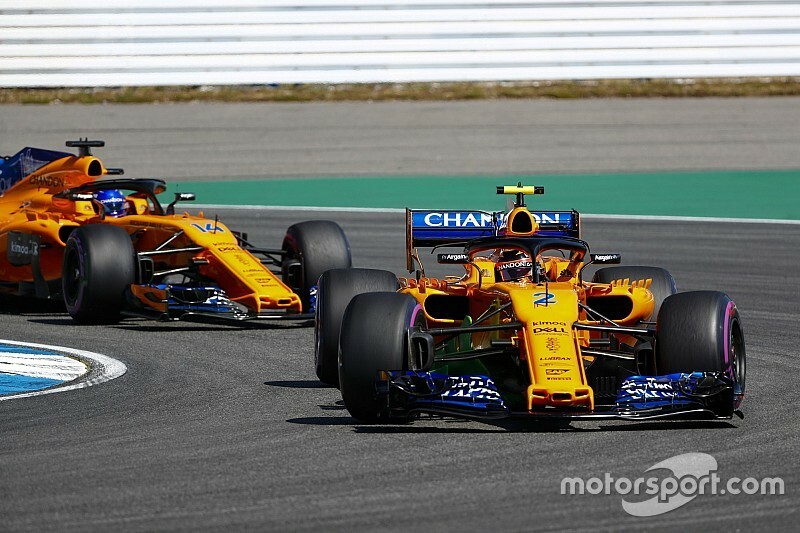 McLaren has openly admitted its interest in Carlos Sainz, now without a Renault drive following Daniel Ricciardo’s shock move from Red Bull, and it is understood to have explored other experienced options on the current grid. It also has reserve driver and Formula 2 title contender Lando Norris waiting in the wings, although Norris has admitted waiting until 2020 to race with McLaren is still a possible outcome.